It's the 1st of April, the clocks went forward at the weekend and the sun is (almost) shining - that means it's spring in my eyes. Spring is by far my favourite season when it comes to fashion and beauty. If you couldn't tell, I'm a big fan of florals and pastels (pretty much the statements of spring) and so this season always gets me seriously excited. 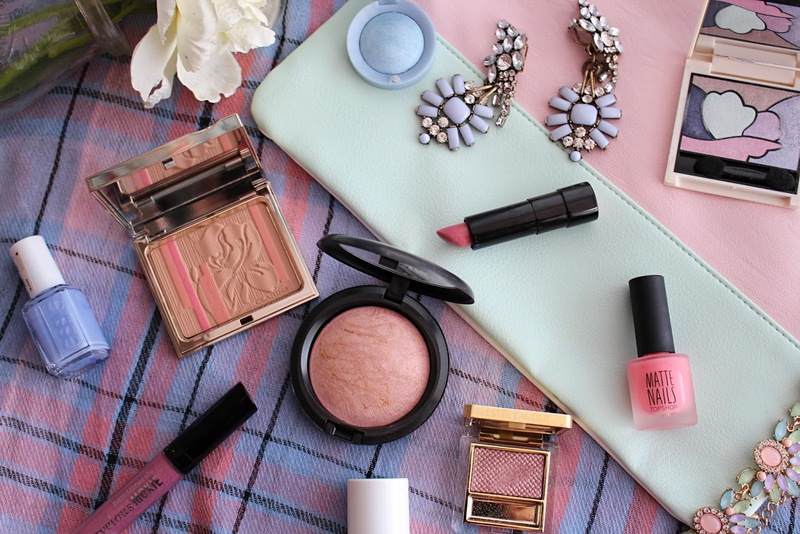 Whilst my outfit posts are showing you how I'm rocking the pastel fashion this spring, I thought it was about time I dug deep into my makeup bag to show you guys the colours that I'm loving for this time of year. Of course - it's all about the candyfloss, sickly sweet pastels. Baby blue, pastel pink, lovely lilac and magnificent mint are high on my radar in terms of shades this season. I think cotton candy-esque makeup is the prettiest thing ever at this time of year, so my makeup collection is packed with it. Pink is, quite obviously, my favourite colour, and one that features heavily in my list of spring colour essentials. Pastel pink, to be precise. Benefit's Lollitint* is the epitome of the pink I'm talking about here - that super sweet pink that leaves you with a candyfloss flush. It's definitely one of the prime products I'll be using over the next few months. In terms of nails, it's all about Topshop's Matte Polish in Dulcet - the perfect compliment to Lollitint and one heck of a gorgeously opague pink hue. For shadow, I think Estee Lauder's Cyber Pink shade is simply stunning - it's a gorgeous metallic shade that is super pigmented and looks gorgeous shimmering on the lids. Speaking of shimmer, another of the pink products I am loving for spring is MAC's MSF in Porcelain Pink. This is beautiful if you're after a pretty pink highlighted look - it is a slightly peachy pink with subtle hints of gold running through it and I think it would perfectly compliment both fair and darker skintones. 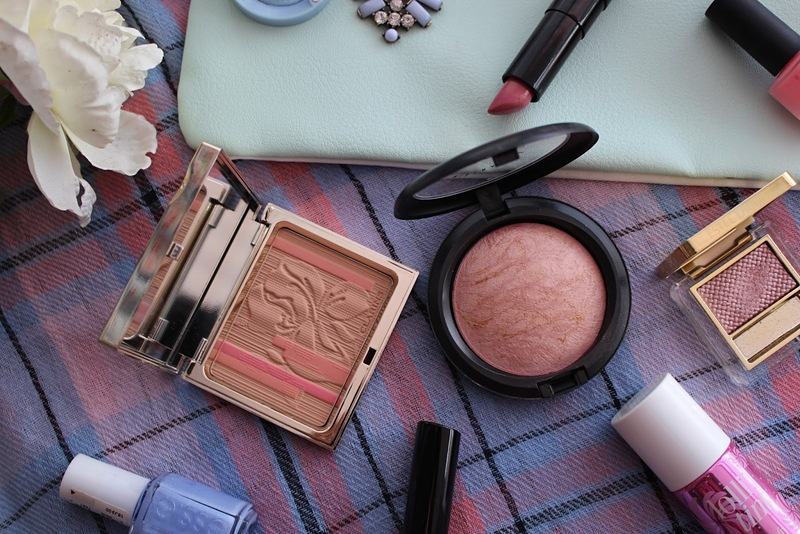 For a bronzing shade, Clarins Face & Blush Powder has hints of coral and peach in there to add a subtle glow. I believe it was Limited Edition last year, however I have my eye on their spring release here too. Sticking with pink, for lips I chose two lip products from the same family - the Marvellous Moxie family, if you were wondering. As I mentioned in this blog post, my current go-to lipstick for spring is Bareminerals' Moxie lippy in 'Speak Your Mind'*, which is the perfect subtle pink to compliment a pastel look. If gloss is your thing, however Bareminerals Moxie lipgloss in 'Ring Leader'* is an amazingly shimmery lilac-pink, which looks simply delicious on the lips. Of course, spring isn't all about pink. Another of my favourite shades to see around this time of year is that pale, powder blue. Essie's pale lilac-blue shade 'Bikini So Teeny' is the perfect spring polish shade that looks amazing on the nails with a tan. Bourjois also have a beautiful powder blue eyeshadow (number 17)* which is a totally dreamy shade, and looks fabulous with a slick of black eyeliner. In terms of pastel palettes, I am currently lusting over Dior's Trianon Palette, which is simply stunning if not ever-so-slightly expensive. Me being the bargain lover that I am, decided to dig out my (very) old 17 Vintage Love 'Perfect Pastels' Palette which has some beautiful shades of mint, lilac, baby blue and pink in. As much as I'd like to invest in the Dior version, this one suits me fine for now. 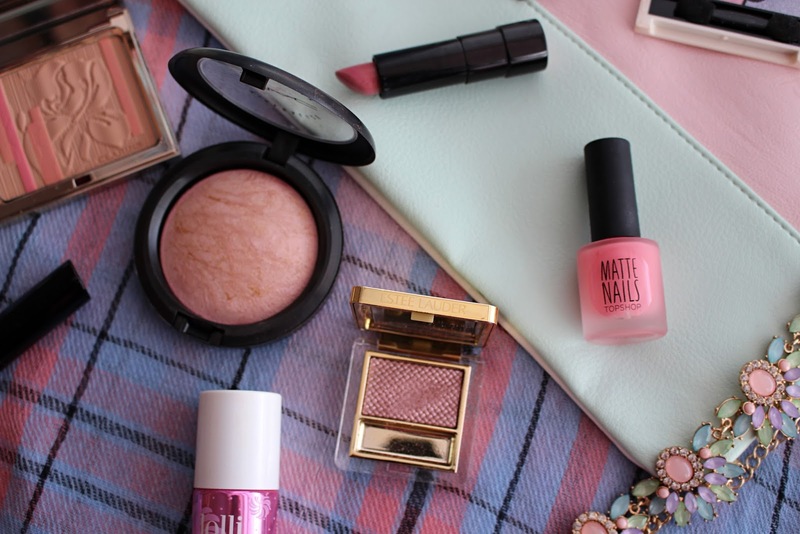 What do you think of my colour selection for spring? 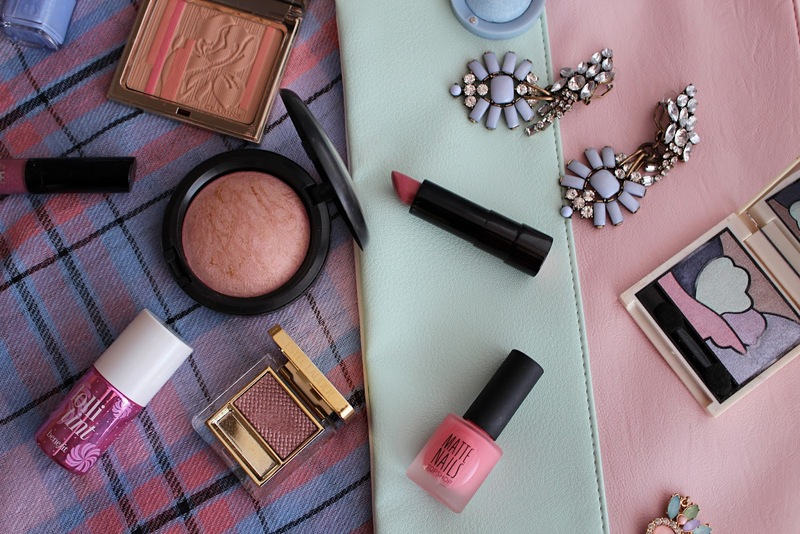 Are you swooning over spring pastels?